diddi dance South East Hampshire & Chichester covers Whiteley to Chichester, Petersfield to Portsmouth and everywhere in between. Please use the form below to book a free trial in one of our classes! If we don’t run a class in your area yet please contact me, we’re adding new classes all the time and would love to hear your feedback! We can offer full of fun birthday parties across our area so please get in touch to discuss your requirements. 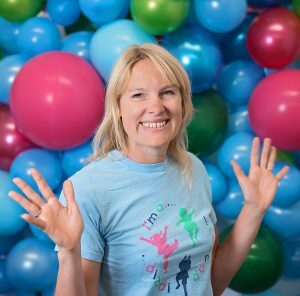 We love supporting preschools to deliver the EYFS programme, please get in touch to book a complimentary session for your early years setting and we can also provide entertainment for your end of term party. Hi! I live in Emsworth on the south coast with by family. I have four diddi dancers Joseph, Noah, Naomi and Anna. We all enjoy dancing and singing together at home so I’m looking forward to sharing that with lots of diddi dancers and their families! 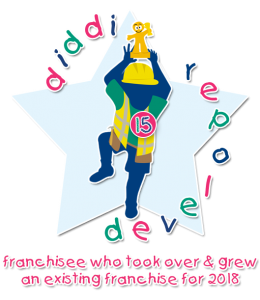 I’m so excited to get to know lots of new families and children and to share some diddi dance fun with them, I’m also looking forward to being able to bring my own diddi along for the ride!